Interactive graphics offer you the possibility to visualize the content of selected Data Portal tables. This section includes general information on population development for all of Germany and for each of the 16 Länder. Research, development and innovation form the basis for Germany‘s prosperity and competitiveness. Education provides prospects for personal careers of each and every individual as well as for the future and prosperity of our society. Globalization has become a fact. The question is no longer whether to act globally but how good we are at it. International comparisons provide a means of orientation. The results show that Germany is in an excellent position! The Data Portal contains facts and figures to the topic areas, such as Science, Research, Development and Innovation on the one hand, and Education on the other, complemented by the International Comparison data. In addition to thematically structured table overview, different search mechanisms are also available for searching for the specific data. Interactive graphics offer you the possibility to visualize the content of the selected Data Portal tables. You can affect the way the graphic is displayed by customizing its various parameters. 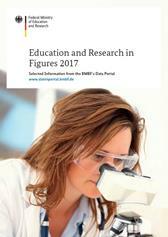 The facts and figures, compiled for the annual Brochure "Education and Research in Figures", provide a quick overview of the education and research policy basic information. 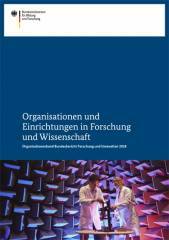 In addition to the concrete information on different education and research areas, the brochure includes also details of expenditure by the Federal and Länder governments, as well as of Germany's position in an international comparison. 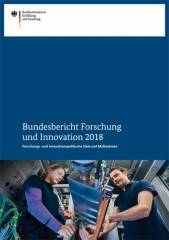 The biennial "Federal Report on Research and Innovation" is a standard reference work on the German research and innovation policy. 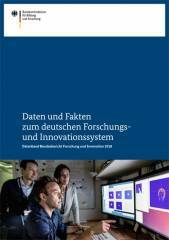 Clearly and highly topical, it presents the different elements of the German research and innovation system, with its facts and figures. 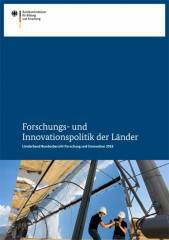 The report also takes stock of the reforms of the German research and innovation system. The glossary contains alphabetically ordered definitions of important terms and abbreviations to be found on the Data Portal pages.